Funding an international education doesn't have to be difficult. Our International Financial Aid Resource is designed to provide you with information on how to budget, ways you can fund your studies, and help you gain an understanding of the financial aid system. This unique resource will explore these topics as they relate to international students, study abroad students, and those individual completing a degree in a foreign country. No matter your circumstances while studying abroad, read on to learn more about funding your education overseas. If you've never had a student loan before, our Student Loan 101 resource will familiarize you with the process and loan terms so that you can make the right decision. What is an Interest Rate? Resources specific to international student loans, from figuring out when and how to apply, guidance on planning responsibly and how to go about your repayment. What Do International Student Loans Cover? Working in the US as an international student can be difficult. In this section we will help you navigate the process and give you the information you need to work in the US. Living overseas requires you to understand how the banking system works so that you can manage your finance. Check out this resource to better understand how the US banking system works. Studying abroad is expensive so it's important to understand what financial aid is available, where to look, and how to find funds that can help cover your education costs. If you are a US student planning to earn your degree at a foreign institution, you are eligible for student loans. Check out this section to learn more about loans that can help cover your costs. Am I eligible for a Foreign Enrolled Loan? US students planning to study abroad through a US college or university are eligible for student loans, no matter in the world your travels take you. Learn more about the process in this guide. Am I eligible for a Study Abroad Loan? 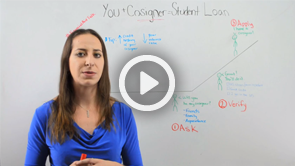 Do I Need a Cosigner as a Study Abroad Student? 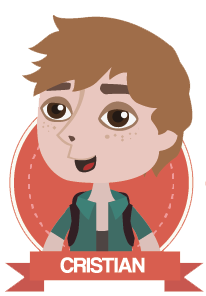 Plan ahead and budget not just for school, but for all the expenses you will have overseas. 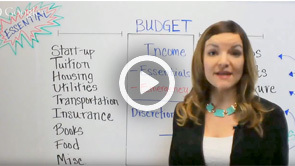 Read this overview for budgeting tips, what to consider, and best practices to keep track of your finances. We all know that funding your education abroad is probably one of the hardest challenges for an international student. With tuition fees on the rise globally, it is important to make wise decisions by determining how much money your education will cost and how you plan to afford these expenses. While many international students rely on their own personal funds, there are many ways you can help cover your costs. Follow Renata and Cristian on their journey to afford their education in the USA with our infographic charting their success!